BEAVER, Utah -- Two girls are recovering from a lightning strike after their dog brought help to the mountainside scene in Utah. 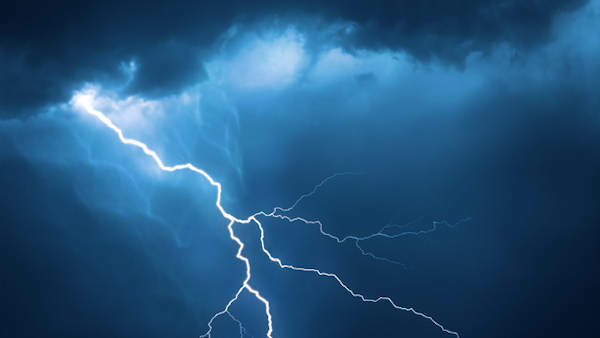 Authorities say the girls, ages 8 and 16, were crossing a meadow to explore during a family camping trip when the lightning hit Friday morning. The Beaver County Sheriff's Office says the dog ran back to the campsite and alerted family members. They followed the dog back to the unconscious girls. The Deseret News reports that a Utah Department of Public helicopter that happened to be in the area for a biological study flew the girls to a hospital. The 8-year-old suffered critical injuries, and the 16-year-old suffered serious injuries. They were later flown to hospitals in Salt Lake City, about 200 miles (321 kilometers) north of Beaver.